Is it a good deed for me to share good quotes about good deeds? Seeing others follow my good examples of good deed quotes would be good enough for me. Do you see any good deeds in my photos from yesterday? It’s a good deed to share music you love, including this good number from the musical Wicked. Good thanks to everyone whose good deeds helped with my daily deed of blogging and to you — of course! — for all your good deeds, here and now. Was this the best photo I took yesterday? Or was the best photo from yesterday one of these? Did you know that a lot of the best photos in this blog lately are from my quest to find the best house near water for me, Michael, and Aaron (when he’s not at the best school in Edinburgh, Scotland)? We may have found the best place yesterday. However, the best is very hard to determine when you know that something better may very well show up in the future. How do you choose the best for you when it’s very possible that the best is yet to come? The best we can do, I suppose, is decide whether we’ve found something that’s great enough. If you share your thoughts and feelings about how you know what’s best (or great enough), that would be the best! The best I could do right now would be to share the best live version of “The Best is Yet to Come” I found on YouTube this morning. The best thanks to all the best creatures who helped me create this post and to you — of course! — for being the best. Yesterday, I witnessed somebody I love very much, experiencing a primal, human feeling. He was expecting other people to show up and, for a while, it looked like nobody was coming. Nobody. He was trying to make meaning of that. But what I saw, most of all, was pain. I tried to provide, as I do with anybody in pain, witness to the hurt and — when appropriate — inviting room for the hope. The hope that people would come, eventually. The possibility that the abandonment, while painful, was temporary. And the abandonment was temporary. 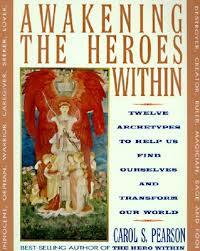 writes about 12 archetypes — primal human roles we go through on our journey through life. The first archetype is the The Innocent. That is how we enter the world. The second archetype is The Orphan. Into every Innocent’s life, disappointment will come. Abandonment, of some form. Orphans feel helpless, powerless, confused. They try to make meaning of this new perspective on life, but the new feelings of loss and pain are … overwhelming. The world is not as safe as they thought. Nobody is coming. Nobody cares. I am alone in this. This is what we cannot see, when we feel orphaned: The people who are around us. Maybe they don’t know about our pain. Maybe they are on their way. That’s what I witnessed yesterday, with somebody I love. I know that feeling of being orphaned. Abandoned. I still feel it, at times, today. This post is a reminder for me and other orphans, of all kinds. I may feel alone, in pain. But, truly, I am not. 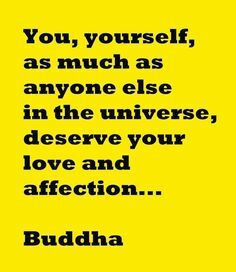 Thanks to the Buddha, Carol Pearson, orphans everywhere, and to you — especially — for visiting today.